I'm pretty much over the government telling me what I "should" eat in order to be "healthy" (i.e. fat, sick and tired) and thought that it would be cool to get a whole bunch of pictures together, make a collage, and declare July 4th 2011 "Food Independence Day". 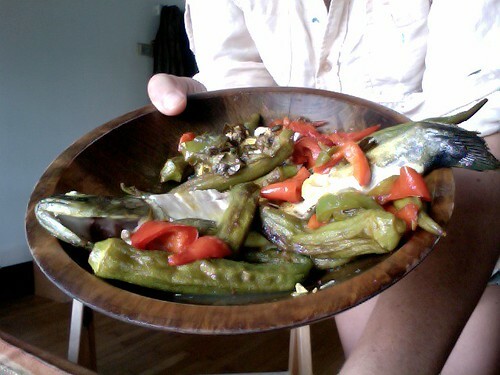 I'm sure a lot of you paleohackers have some great meals that you have pictures of, and if you'd like to participate, please just post the picture in your response along with the comment "This is MY plate!" To kick things off, this is MY plate! I've never seen sea urchin on a sashimi platter!! Yum! 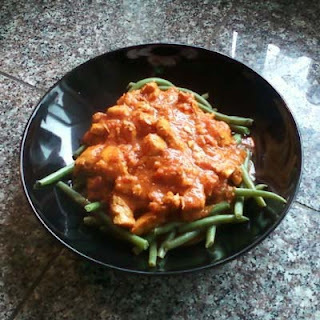 recipe please on the coonut chicken? Good for you! 90 / 10, even 80 / 20 is the way to go! People can get a bit too carried away and make this too dogmatic. Important part of paleo to me is to make sure we take the time to enjoy life. Sometimes that means doing something you are not supposed to, but enjoy. that roast looks delicious. how did you perfect that? Wish I could vote more than once! No 'splainin necessary. Paleo is a framework, not a religion. I love me some IPA and my life is better for it. We have a local brewmaster whose mega-hopped craft beers add immensely to my personal well-being (in moderation of course). Your awesome paleo meal was made awesom-er with that bottle...in my opinion. and Ryan, you made me laugh, yeah, he ran with a bad crowd! they had shotguns... they were *going* to throw his extremities and head into the woods for the wild animals to eat. I joked to the farmer that that was why the crows were so damn big around these parts. haha, once it was done, (the picture below the stock photo), you would have never known what part of the animal it came from... and believe it or not, I do draw lines as to what meat I will eat... for example, I NEVER eat fast food (haven't been in McDonalds for well over a decade)... I find that meat disgusting. The pigs head didn't really bother me at all. That pig was executed gangsta style. He must have run with the wrong crowd. it was delicious! and yeah, it's not in styrofoam and plastic packaging, nor wrapped neatly in paper, and it's bloody, but the pig's head has some of the tastiest meat on the piggy (the jowls). This guy's head was going to be thrown away if I hadn't cooked him up! I'm kinda wishing I had another one... will have to call the farmers. yeah... sorry, i put all of mine on an external page, but I couldn't pick just one picture and I wasn't about to put 30 photos on this thread! I'm not selling anything, at least, not yet anyways ;) I really like photo questions, so thanks FED, this was fun! the pig head scares me. Yummm!! Makes me hungry! One of my faves too! I see that Dogfish Head hiding up in the corner. 60 or 90-minute? Either way, a perfect pairing for a good lookin' meal! Nice doneness on that beef! What is it? :D Looks like meatball-ish, with salad and... nacho chips?! Will post a photograph myself anytime soon! Nice topic! This is my kids' plate! Grass-fed beef sirloin steak, cukes, lettuce, a little raw milk cheddar, uncured bacon, organic strawberries (and water). Frog legs over stir-fried veggies. Strawberries n bananas n heavy cream, cod, turnip chips, eggs. I could post more.. 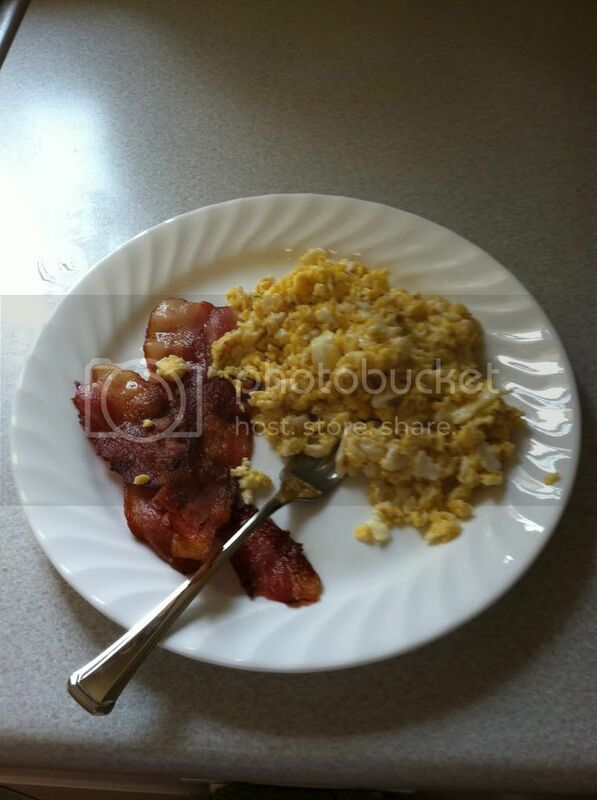 I take tons of pics of our meals because people always ask me "What do you eat?!" Great pics so far everybody! I'm loving all of your plates! Keep them coming and please simply post the picture directly onto your response. 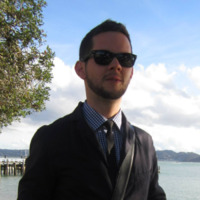 There have been some questions as of late regarding "self-promotion" of personal sites and I want to make sure that this post stays open. Here's another of MY plates! Fun - love this thread! 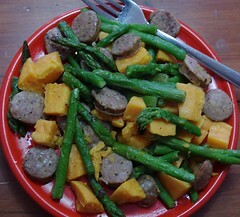 Andouille sausage, sweet potato, asparagus. So I was in the kitchen cooking and remembered this thread... prompted me to take this picture..
Oh wait no, I'm sorry, that's my DOGS' plate! :) I think Mr. Grain Free is right. They do eat healthier than most people. 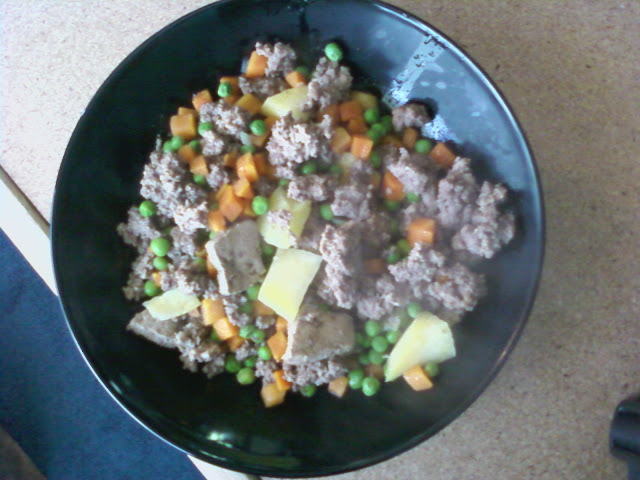 Tonight's selection is ground beef, beef liver, peas, carrots, a little sweet potato, and then added to this will be some eggs and egg shells. macadamia nut encrusted shrimp over swiss chard cooked in coconut oil, w/ some shredded coconut flakes on top. Beef shoulder roast, just a tad over rare, baby carrots poached in ginger water and drenched in kerrygold with pepper. Prepared horseradish on the side (couldn't find fresh - boo). Roasted duck with asparagus and sauteed purple potatoes! 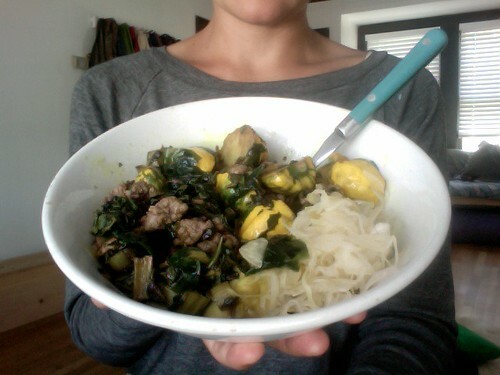 ground beef, chard and farm fresh squash cooked in ghee with ginger and tumeric and sauerkraut! While I never got around to making a collage out of all the pictures everyone posted, but I did have an idea that I would like to share. I found the site ThisisWhyYoureFat.tumblr.com a few weeks ago and thought, "Why not a paleo version?" I have a few links to your site, JansSushiBar. I'd like to see this thread keep going! This photo was taken to showcase the turnips and greens, but gives you a general idea - it's roast from the crockpot (a chuck shoulder roast if I'm not mistaken), turnips - parboiled then pan fried in bacon fat with onions and the greens - and roasted radishes. Pretty indicative of what we eat on any given day. This was a meal I ate at a national guard facility at the regular mess hall.